When the current flowing through your LED is too low, it enters a state known as underdriving, where the power available is lower than the optimal rating for the bulb. This can happen when too many bulbs are placed on a single circuit, so the voltage remains constant while the amount of current decreases to maintain supply to all bulbs on the circuit. Underdriven LEDs are dimmer than normal, meaning a lower heat output which improves lifespan at the cost of brightness. It isn’t the best balance but sometimes the improved lifespan is worth it if you don’t need full illumination. LEDs which do not turn on when power is dimmed or that glow when power is off are not being underdriven. Many transformers have a lower-bound limit for a required power load (a minimum amount of wattage required for operation), and having a single LED on a circuit will be too small of a voltage drop to meet this minimum load, preventing the driver or transformer from engaging. The soft glow you may see when power is “off” is usually the fault of a dimmer switch, not underdriving. Dimmers do not always turn off voltage completely; they simply reduce the current down until there is not enough energy flowing to start the bulb. Unfortunately, some dimmers “bleed” or “leak” current in high enough quantities to drive an LED, giving it a faint glow. Overdriving is the exact opposite of underdriving. By increasing the current above the optimal level, you increase power to the bulb. 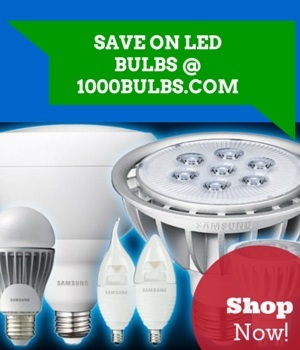 It is true that an overdriven LED will be brighter, but the return from increased power diminishes the further you go. For example, if your bulb is rated for 200 mA, and you drive the LED at 400 mA using a constant current driver, you will not receive twice the lumen output. This is because, as you increase the power to the chip, more energy is lost as heat within the circuitry. As heat increases, resistance increases and it takes more current to generate the power needed for increased lumens. As your power increases, heat increases again. This state of exponential increase is known as “runaway” and can lead to excessive heat which will burn out a circuit. Yes it is possible to safely overdrive an LED circuit, but since more energy is still lost to heat within the circuit, the efficiency of the bulb is substantially lowered and the lifespan of the bulb is reduced. Manufacturers set the optimal current and power requirements for a bulb where they have the highest energy efficiency for their light output. LEDs with external drivers come in two types: Constant voltage, and constant current. LED bulbs that require an external driver will identify which type of driver (constant current or constant voltage) they work with and what level of current or voltage is required to run them. Over or underdriving your LEDs is why that rating is important. Using the wrong level of current means you won’t get the best balance of light, lifespan and efficiency from your investment. Have any additional questions on current or electricity? Ask away in the comments below. You can also check our guide on LED drivers for additional help. As always, you can contact us through Facebook, Twitter, Google Plus, LinkedIn, Pinterest, or Instagram! May 11 What is Inrush Current?